In most situations Sargo effortlessly leaves most of the competitors in its wake. Both on paper and at sea. The fact is Sargo is nothing less than lots of fun to drive. The vessel’s sporty handling, responsiveness in turns and refined ride characteristics are an invaluable bonus for anyone looking for exhilarating challenges at sea. You can confidently push your Sargo towards the limits without even getting close to them. Sargo is a multi-role boat with a strong sporty character. Every Sargo, whatever the size, is bound to be a versatile vessel suited to many kinds of boating. It is a great choice whether you spend your maritime family vacation cruising offshore or use this true all-weather boat for transportation between the mainland and your island getaway. Most leisure skippers appreciate that we deliver Sargos for serious professional use as well. The whole Sargo concept is based on our unique All-In-One Sport Utility theme: you don’t have to sacrifice the fun of boating to the common sense of it. The Sargo experience offers you the best of both worlds. 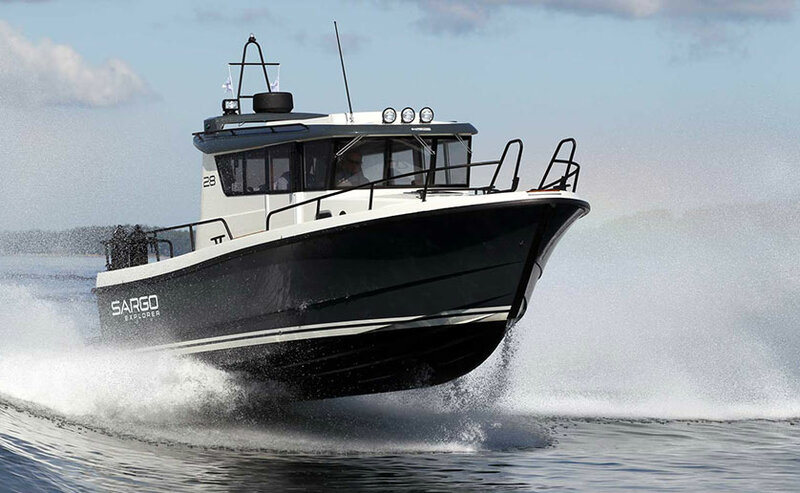 A Sargo is a true sport utility vessel made in Finland. It offers you confident, sensible boating – and loads of fun at sea. What more can you ask for? Mr. Johannes Sarin, Head of Finances, son of Edy.